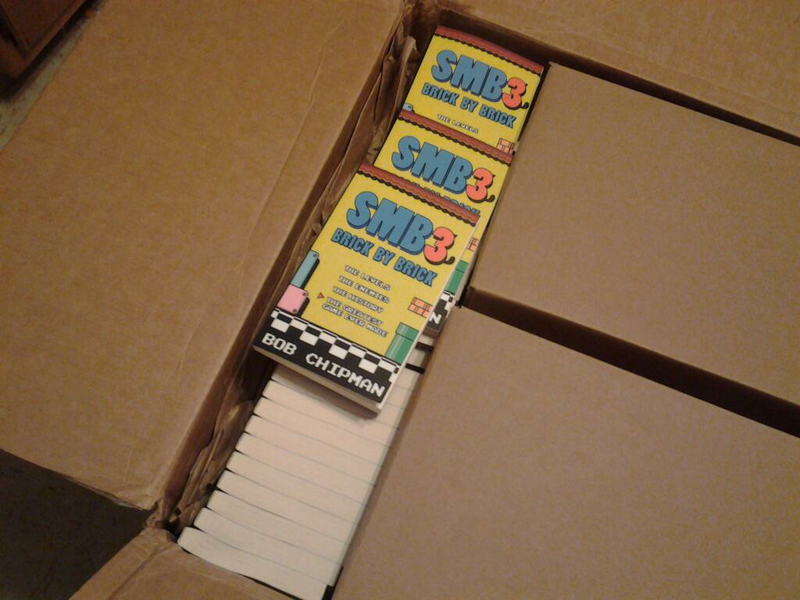 The first printing has been completed on my first book, “Super Mario Bros. 3: Brick By Brick.” Very exciting. The book will be available for sale online likely sometime in the coming week (exact date TBD) exclusively through Fangamer.net (there will be an e-book version as well) although I will be bringing a limited number of physical copies to SGC next weekend to be sold in person (and signed, if that be your bag) pretty-much whenever I’ve got a free moment to do so and also during/after my designated panel/autograph times. At this time, those are the only two ways to purchase the book currently slated, and unfortunately I am not able to ship/sell copies over the web myself. However, I’m also working on putting together some local sales-events here in the Boston area and will make the dates/locations of those available as I get them. If you happen to BE the proprietor of a Boston area gaming/book/etc establishment and are interested in discussing hosting a selling/signing event please hit me up in the comments below. Escape to The Movies: "Man of Steel"